Monday 24th April and Jake Mawford’s U18s made the journey to rivals Clevedon Town. 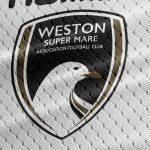 A make or break fixture for Weston in their bid to lift the Somerset Floodlight Youth League title in what can only be described as a thrilling title finale against title chasing Clevedon. Both sides started strongly, with Weston working the ball well to get into the final third but struggling to provide that final ball to result in a goal. Striker Sol Wanjau-Smith & central midfielder Dom Baressi both saw toe-pokes easily collected by Clevedon keeper Will Bennett inside the opening few minutes. 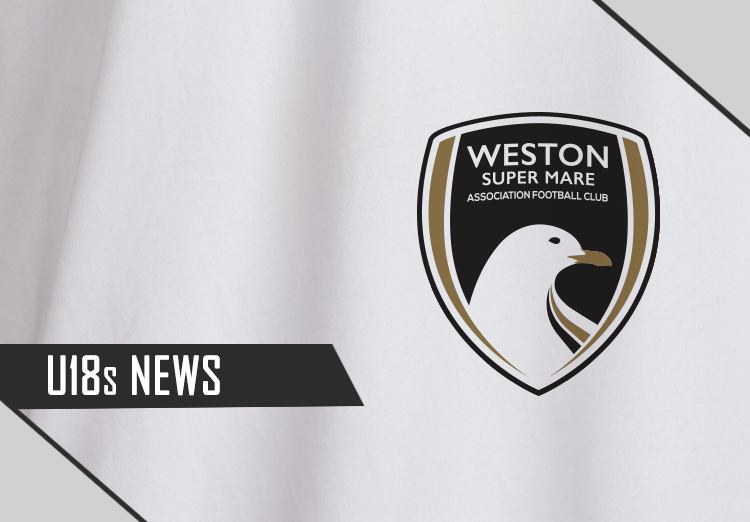 Archie Ferris nodded a Ryan Gissing free-kick onto the base of Weston keeper Andrew Head’s post before the Young Seagulls eventually got the ball away on the fourth minute mark, with the game seeing no clear-cut chances for the next half hour. Wanjau-Smith smacked a free-kick off the bar from the edge of the area ten minutes before half-time, with Clevedon struggling to get out of their own half up until the break. 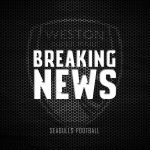 After the interval, Weston continued to press high up the pitch but some nervy defensive moments led to Clevedon breaking the deadlock. The home side floated a corner into the box, with Head tipping the cross away as he tried to claim it and relieve the pressure on Weston’s defence. Ferris was on hand to sweep home for Clevedon, leaving Weston with their head in hands. 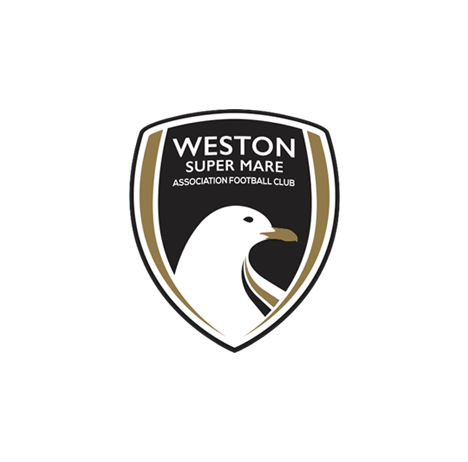 However, Jake Mawford and captain George Morris-Edwards made sure the heads of the Seagulls Under 18s didn’t drop and Weston drew back level when the referee waved advantage for a foul on Tommy Llewellyn 20 yards from goal, with Irwin picking up the loose ball and putting Baressi in on goal. The central midfielder went around keeper Bennett, but was tripped by the shot-stopper, with the penalty being awarded. Irwin stepped up to the spot and with an air of calmness, he slammed home his spot-kick to make it 1 – 1. Tom Frampton saw red three minutes after the equaliser following a trip on the far side of the pitch, just as the clock ticked into added time. Clevedon winger Ferris lost his footing as he was about to pull the trigger, with Jack Goodall hammering the ball up-field. Wanjau-Smith found himself in on goal but was tripped seemingly inside the box by right-back Tyler Ashmead, who was sent off for his efforts. The assistant referee awarded a free-kick, despite the referee initially indicating a penalty. Wanjau-Smith’s effort was deflected out. From the resulting corner, Morris-Edwards rose highest at the back post to nod back towards an unmarked Archie Lye, who only joined from Bristol City last month, to glance home his header. Lye’s goal sparked wild celebrations amongst the players, management and travelling supporters in a game, and title race, that will live long in the memories of everyone connected with the side this season as the U18s lifted the title at the final whistle. 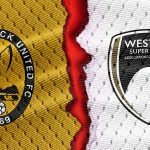 Weston XI: Head, Goodall, Frampton (S/O 86), Baressi, Jones, Morris-Edwards (C), Nicholson (Mason 62), Sanford (Lye 62), Wanjau-Smith, Llewellyn, Irwin. Unused substitutes: Probert, Obamwonji, Palmer. After the U18s clinched the league title away at Clevedon Town and after their exhausting season, we took the opportunity to catch up with the league’s top goalscorer Sol Wanjau-Smith, MOTM from the memorable victory Dom Baressi and skipper George Morris-Edwards to discuss their season. How would you sum up the league campaign? Sol Wanjau-Smith: At the start of the season we set out to win the league, so I would say that it has been successful. However, throughout the course of the season there have been moments where I know we haven’t performed to our best. But the character that we have shown to turn it around, when many were doubting if we were capable of achieving the league title, has been superb. 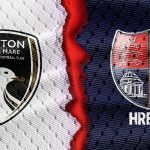 George Morris-Edwards: Over the course of the season we’ve undoubtedly been the best footballing team, although sometimes against teams who fight and are aggressive we came up short. But after our loss against Ashton and Backwell we worked on being on the front foot and being more ruthless. It really showed in the last 5-6 games of the season, where we continued to play our attractive style, but also imposed ourselves physically and went on a winning run of games. How did it feel to end the season in the manner you did? SWS: It will be hard to top that’s for sure. It was like a fairytale and a perfect way to round off the season. I’m sure it will be a great memory for everyone, especially Archie (for obvious reasons) and the older second years, as our last game within under 18s football. DB: Yes I don’t think you can win the league any better than going to your rivals ground and scoring in the last minute to win the match, moments like this you remember for the rest of your life. GEM: It was a perfect end to the season. I’m sure the staff and parents wouldn’t want to go through that amount of tension again any time soon, but it made winning the league even more special. With 8 minutes to go and still being 1-0 down, to turn the game around shows the amount of heart and character the team has. At the start of the game we didn’t play to the standards expected of us, but as the game went on we settled down and started to move the ball better, which enabled us to create more chances. What impact has Jake Mawford had on the squad this season? SWS: Jake is a manager like no other. I, along with a lot of the boys, have worked with Jake for nearly 6 years. What sets him apart from other managers is that, he develops a great relationship with everyone, which I think was demonstrated by the scenes at the end of our final game. Its great to have a manager that you know believes in you and is willing to go that extra step in order to help us improve. GEM: He’s had huge impact in many different aspects. Sol was the only player to still be at the club from last season, the rest were recruited for by Jake. He basically made this team from scratch, from players he previously coached or knew. But every player has bought into his philosophy, making our football pleasing on the eye, and that’s a credit to the way Jake coaches us, how he believes football should be played. His knowledge has personally helped my development massively, as well as the rest of the team. He has also fully trusted and believed in every individual all season to deliver his style of football to a high standard, and it has paid off. How proud were you to lift the league trophy? SWS: For me there is nothing better than winning the league, but its not what we did but the way that we went about doing it that I’m more proud of, which was playing the right way. I’m also ecstatic that we could repay the fans, such as Simon Stevens, who have worked tirelessly to help us over the last season. There is no denying how much there support means to our team. GEM: As captain it was an amazing feeling and I felt a lot of pride. But it was fantastic to be able to enjoy lifting the trophy with all my teammates and friends who had worked extremely hard for that moment and it was well deserved for all of us. Everyone who was a part of the season, even if they didn’t play on the night, played a massive part in our success. How does it feel to finish the season as the league’s top goalscorer, with 17 goals? SWS: I always want to be the best that I can, so as you can understand this something that I’m very proud of, but without my team mates around me this wouldn’t have been possible. I’m glad that I was able to contribute towards the teams success. What are your plans for next season, football wise? SWS: Currently I have nothing planned. I’m just going to get my head down in pre-season and hopefully take any opportunity that may arise. GEM: I’m still waiting for confirmation about what’s best for me next season. I will know in the near future, but before that we still have a friendly or two to focus on. I would love to be a part of Weston’s plans, but that’s not down to me. The Under 18’s took on Bristol City U18s last Friday and gave their hosts a great game, only narrowly losing by 2 – 1, with a match against Exeter’s U18s coming up this Saturday.